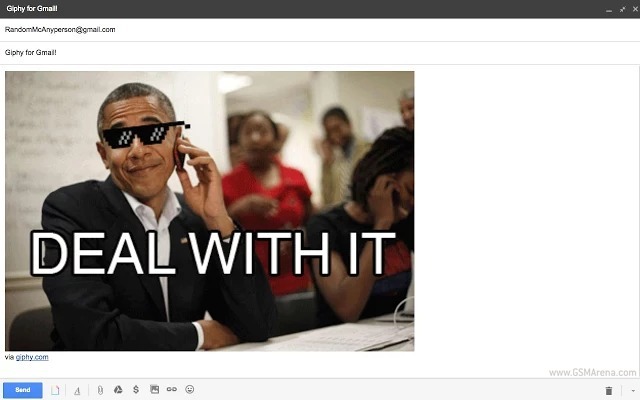 Giphy for Gmail is a Chrome extension. Once you install it, you’ll see a new rainbow button inside Gmail’s Compose screen, alongside the text formatting options. If you click it, you’ll be able to quickly search for and discover many animated GIFs just begging to be put inside your email. After you’ve picked one, inserting it into the email is a one-click affair. And that’s it. Hit Send knowing you’ll be making life just a little bit easier for the recipient.